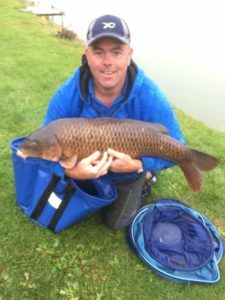 14 teams (56 anglers) lined the banks at Larford lakes to fish the golden reel team championships. Fishing on both the match & specimen lakes, each team of 4 had to place anglers on the match grass (section A), Match burr bank (section B), Speci burr bank (section C) & chalet bank (section D). To win a section gave the winner 1 point and last place 14 points. 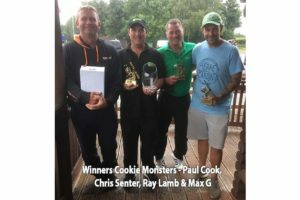 Winning team on the day was Cookie Monsters, Max G, Paul Cook, Chris Senter & Ray Lamb who scored a brilliant 12 points putting them 4 points clear of their nearest rival. 2nd placed team was Team Poland who scored a brilliant 16 points including 2 section winners. A poor result from C section cost them the overall championship. 3rd placed Richies Baggers, Brian Clark, Dean Hunt, Mark Skidmore & Richie Lawson scored 17 points, placing them a comfortable 8 points clear of their nearest rivals. 4th overall was Colmic Baggers, Phil Briscoe, Harry Harris, Neil Colcombe & Martin Harrell who scored a total points score of 25 to beat winter wonders by the same points score but a superior overall weight.